It’s time to figure out what’s up with your finances! Don’t be afraid to explore the truth about money. It can be very scary, but also very rewarding. Amazing things happen in Money Clubs! There are no right or wrong answers, so answer these questions honestly. The answers may not describe your situation exactly, but choose the one that comes closest to where you are right now. If the question doesn’t apply to you, just ignore it. This is just a guide to get you thinking. The answers don’t have to fit you perfectly- just choose the one that is closest to the way you feel right now. Are you aware of how your childhood money attitudes affect your current financial experience? No, I don’t remember many money issues from my childhood. Anyway, there’s nothing I can do about it now. I catch myself occasionally responding to money in negative ways from my childhood, but mostly I am doing okay. I understand how my attitudes were shaped, and I’ve done my best to maximize the positives and defuse unhealthy attitudes. 2. Do you know your money style? I think I’m a Libra. I know it affects my finances, but I don’t think about it much. I know my strengths and weaknesses and try to improve upon them. 3. What are your emotional responses to money? I am paralyzed with fears and unmotivated to achieve my goals. I have some worries, but I generally feel okay. I feel in control almost all of the time, and I am moving forward toward my financial dreams. 4. Do you know where all of your important financial papers are located? In my house, I think. I have a filing cabinet with all of my paid and pending bills and permanent records, as well as a safe deposit box. 5. Do you know your approximate net worth (the total of your assets minus the total of your liabilities)? I’m doing okay, but I haven’t really figured it out. Yes, of course, down to the penny. 6. Do you save at least 10 percent of your monthly income? I’m so swamped with debt I can’t even think of saving. I don’t save 10 percent, but I try to save something most months. Actually, I save more than 10 percent of my monthly income. 7. Do you know your monthly household income and living expenses? If I get some of the bills paid by the end of the month, I’m doing pretty well. I have a rough idea, but I’m not always mindful of my spending. I have a written budget, and I stick to it. I live within my credit limit-isn’t that the same thing? I try to stay out of debt when possible. I spend wisely in line with my priorities and beliefs, and I have money set aside for emergencies and charitable giving. 9. Do you have credit card debt? How could I forget? I’m juggling as fast as I can, but I’m making very little progress. I am paying on each card every month, but the balances aren’t going down fast enough to suit me. 10. Do you know what your savings and investing objectives are? I don’t have savings and I don’t invest, so it doesn’t matter. My objectives: save as much as I can and don’t lose money on my investments. I regularly do a risk tolerance and asset allocation analysis to be sure my investments grow to meet my needs. 11. Are you contributing the maximum to a retirement account in your own name? No, I never could understand those things. I’m contributing some, but it’s probably not enough. Yes, I contribute as much as I need to so that I can retire comfortably. 12. Do you know how to use the Internet and other resources for financial information? No, but I can find movie show times in my area in under five minutes flat. Impressive, isn’t it? Well, I know how to find some things, but I don’t really know what I need to know so how can I find it? I know how to find whatever I need. I don’t know; I’m afraid to look. I got my credit report, but I’m not sure how to improve my rating. I check my credit report each year to see if there are any errors, and I’ve taken steps to improve my FICO score. 14. Do all members of your family have adequate insurance? No, I haven’t gotten around to it. I have some insurance, but I’m not sure what it covers or if it’s enough. Of course. We have adequate insurance for all of our needs, and review our insurance coverage each year. 15. Are you happy with the direction your career is taking? As far as I’m concerned, work is a four-letter word. I have a steady job that pays the bills, but it’s not particularly fulfilling. I challenge myself daily with a career I enjoy, and that provides sufficient income for my needs. 16. Do you feel a sense of financial generosity? I’ve barely got enough for myself, never mind helping someone else. Charity begins at home. If relatives or friends need help, I try. I give money to charity, and I know how it’s being used by the charity. 17. Are you confident in your knowledge of finances and the economy? There’s so much information, I don’t know where to begin. I try to keep up, but everything else in my life seems to take precedence. I read and understand at least one financial publication each month and keep up on current events. 18. Do you have a plan to pay for your children’s education? I could use some education myself in that area. Yes, I am saving, and I know all about the new educational plans that are available. 19. Do you know your projected retirement benefits from Social Security? Don’t they send those statements to me every once in a while? Where is that piece of paper? Yes, I read it and checked to make sure there were no errors in my earnings record. 20. Do you have a plan to take care of your loved ones after you are gone? I don’t need one. I have a bumper sticker that says it all: I’m spending my kids’ inheritance! I have a will somewhere, but I don’t know where it is, and it was written so long ago that it may not even apply anymore. I have a will, living trust, power of attorney, health care directive, and other estate planning documents. 21. Do your children know how to handle money? No, they always come to me when they run short. Better than I did at their age. I am teaching them how to be Money Stars! 22. Do you and your mate communicate well about money matters? When the subject of money comes up, it ends up sparking a disagreement. We don’t talk much about money, but we don’t fight much about it either. We communicate openly about our finances and together plan for the future. 23. Are you confident in your skills to buy or lease a car? I just pay whatever the salesperson tells me. I try, but I always end up feeling ripped off. I go into the negotiation fully informed, and I usually get what I want. 24. Do you own your own home? I don’t own a home, but I’d like to someday. I own a home, but I’m not entirely satisfied.. I have a home, and it suits my family perfectly. 25. Do you know how to choose the mortgage that is right for you? a. I just let the friendly local loan officer tell me what to do. I checked out some radio ads and internet listings and found a mortgage that seems pretty good. I have chosen a mortgage that suits my needs-and I shop mortgages every year or so to see if I am still getting the best deal. 26. Do you know how to choose the best bank and bank accounts for your needs? I use the International Bank of Mattress. I just choose from whatever my local bank offers. I choose the banks that have the best programs that fit my lifestyle and goals. 27. Do you have creative ideas to add to your income? No, but I wish I knew some interesting ways to make extra income. I have a home-based or part-time business that adds significantly to my income. 28. Do you have a plan to care for your parents if they need help? Sure, it’s called the government. My family hasn’t come up with any workable solutions. Our family has discussed it and decided on a solution that meets our needs. 29. 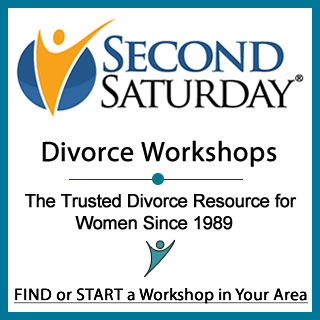 If you are divorced, are you confident in your new financial situation? What do you mean, confident? I’m living on half of what I had before! I am learning to cope with my new situation. I have used the crisis of divorce to make changes that will improve my life. 30. If you are widowed, are you confident in your new financial situation? Every time I start to deal with it, I just freeze. I go through the papers a little bit at a time. I am now more in control of my finances than ever. 31. Do you have relationships with good financial, legal, and tax professionals? Mostly, I just wing it. I don’t have enough money for that. I know I need professional help, but I’m not completely comfortable with the advisers I’m using. I meet with my professional team as often as I need to. Their advice has been invaluable over the years.